SPIKE has learned – albeit a little late in the day – that two of the highest-profile names on the Scottish Daily Mail are either leaving or have left. Executive editor, Kevin McKenna, is understood to be still in negotiations with the paper about his departure, while freelancer, Katie Grant, penned her final Monday column last week. It is believed many staff at the paper only learned of McKenna’s departure late last week, because he had previously been on holiday. But he has actually been on ‘gardening leave’ for a couple of weeks. Grant, who has six children’s books to her name, has a publishing deal in place to write more. 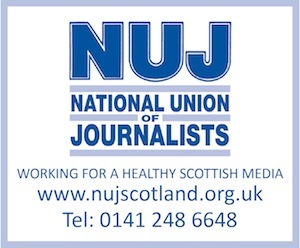 Last week, it was revealed that five editorial posts were being axed at the Scottish edition of the Metro free paper – owned by the Daily Mail’s publishers, the Daily Mail and General Trust.